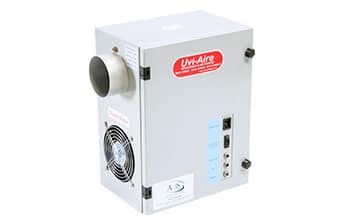 2 in 1 Electrostatic Air Cleaner unit with UV ozone removes both smoke and odours efficiently. Traps wet and dry particles as small as 0.01 microns until later washed away. 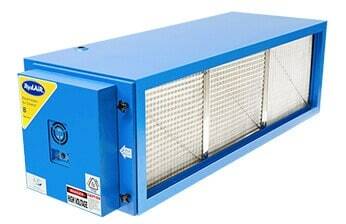 Reduces fire danger risk and outputs clean exhaust air. 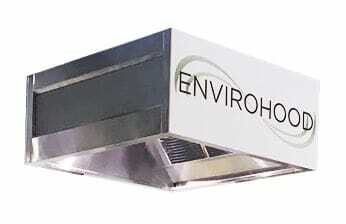 Highly cost effective 2 in 1 method for customers, with huge savings in the cleaning of the ductwork. Lamps and cleaner cells are easily removed for maintenance. Available in all RY series models. 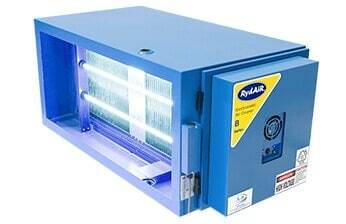 Indoor air is often two to five times more polluted than outdoor air and can be up to 1000 times as dirty. 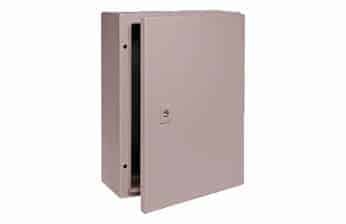 Electrostatic air cleaners can effectively capture and trap these dirty particles. By taking care to only release clean air from the building’s exhaust, the local community can enjoy a pollutant-free environment. 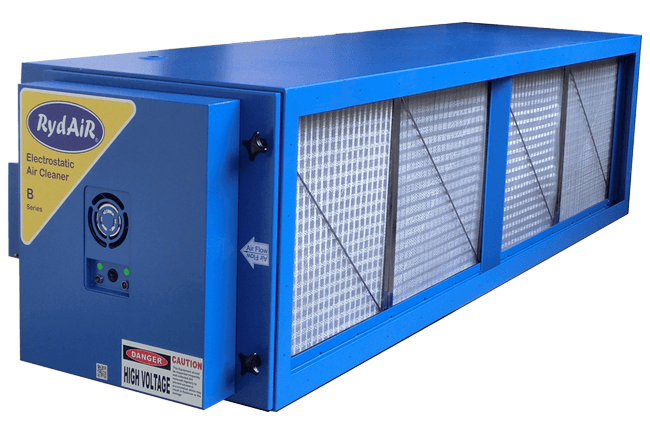 Having in place an effective commercial air purifier ensures a business is correctly conforming to local and federal government requirements. 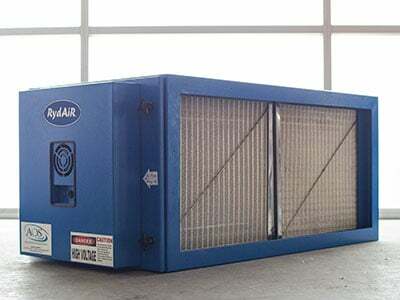 An efficient air cleaning system can eventually pay for itself through cost savings in heating and cooling. Employees will appreciate working in a clean and health-conscious workplace and employers can rest assured their workers’ respiratory health is being looked after. 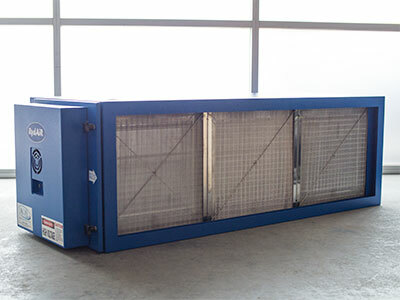 Single cell electrostatic air cleaner with an air volume of up to 1700 L/s. 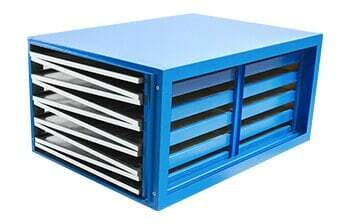 For collection of dry and wet particulates like dust, oil, mist and cooking fumes. 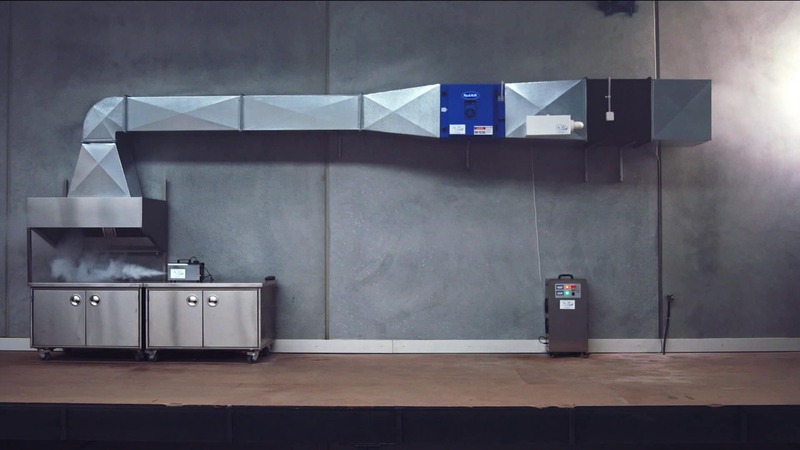 Best suited for small restaurants and workshops, the RY2500B collects particles as small as 0.01 microns and traps them within its collection plates until later cleaned. 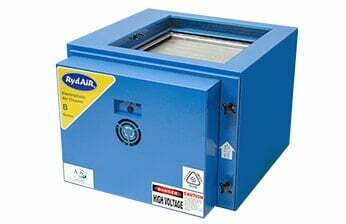 Through reduction in expelled odours and pollutants, reusable collection plates, low static pressure loss and superb energy efficiency, the RY2500B is an environmentally friendly, cost-effective solution for workplaces. 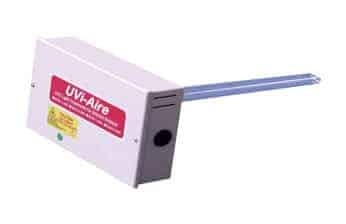 Available with or without UV Ozone Generation Lamps. 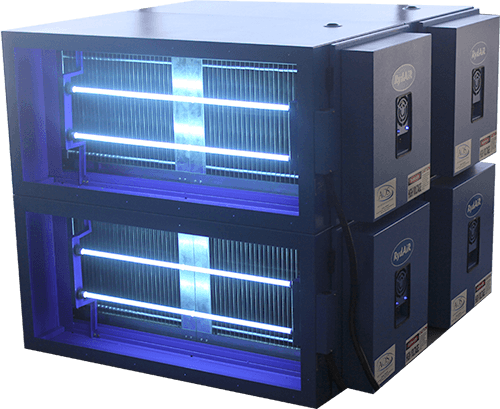 Dual cell electrostatic air cleaner with an air volume of up to 1400 L/s. 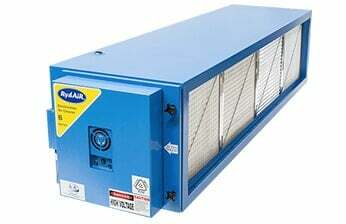 For the collection of dry and wet particulates like dust, oil, mist and cooking fumes. 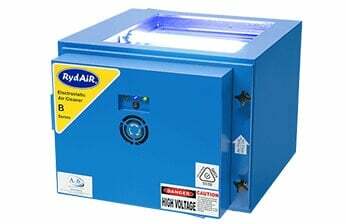 Best suited for commercial kitchens, the RY5000B collects particles as small as 0.01 microns and traps them within its collection plates until later cleaned. 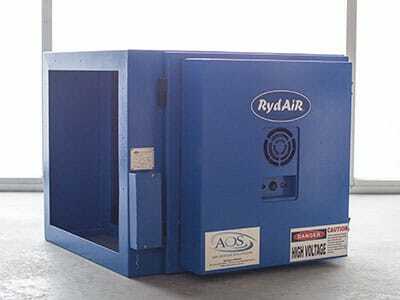 Through the reduction in expelled odours and pollutants, reusable collection plates, low static pressure loss and superb energy efficiency, the RY5000B is an environmentally friendly, cost-effective solution for workplaces. 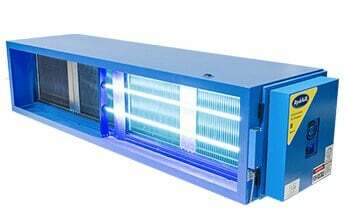 Triple cell industrial electrostatic air cleaner with an air volume of up to 2100 L/s. 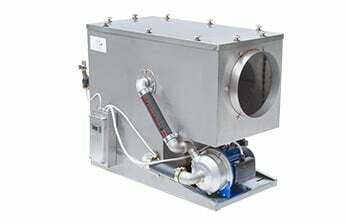 For collection of dry and wet particulates like dust, oil, mist and cooking fumes. 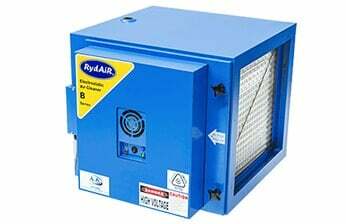 Best suited for industrial kitchens and factories, the RY7500B collects particles as small as 0.01 microns and traps them within its collection plates until later cleaned. 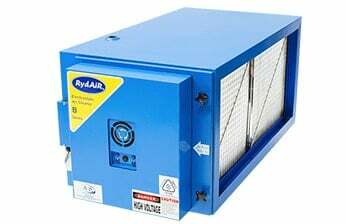 Through reduction in expelled odours and pollutants, reusable collection plates, low static pressure loss and superb energy efficiency, the RY7500B is an environmentally friendly, cost-effective solution for workplaces. 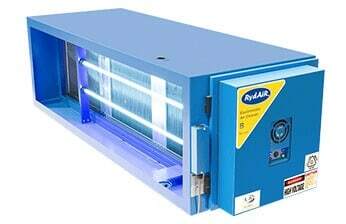 The new RY10000B Electrostatic Air Cleaners has a massive 2800 L/s maximum air flow. 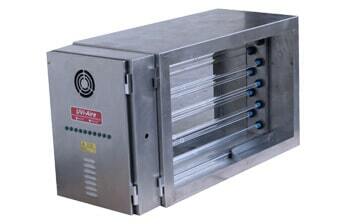 This Quad Cell industrial electrostatic air cleaner is best suited for high volume industrial kitchens and factories. 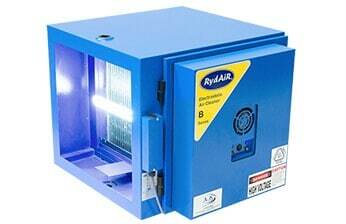 RYB10000B collects particles as small as 0.01 microns and traps them within its collection plates until later cleaned. 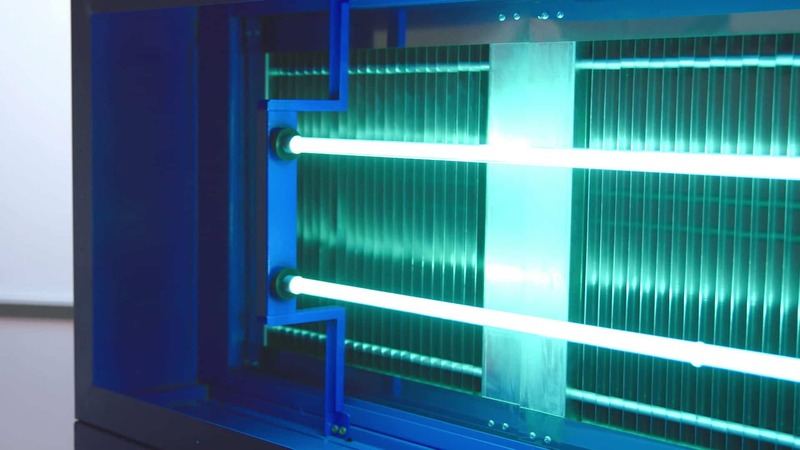 Through reduction in expelled odours and pollutants, reusable collection plates, low static pressure loss and superb energy efficiency, the RY10000B is an environmentally friendly, cost-effective solution for heavy duty applications.